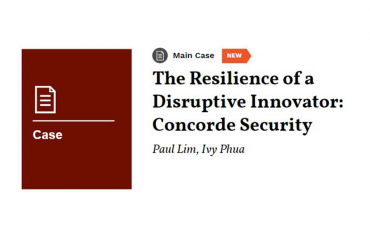 SINGAPORE, 3 Oct 2018 – Underlining the importance of a global shift from manned-guarding security services to technology-enabled security services, Executive Director of Concorde Security, Alan Chua has described the Concorde-led international I-Guarding Global Alliance (IGA) as a “big ray of hope for the transformation of the security industry in Singapore and abroad”. “The security industry has not changed much since the cave man stood guard outside his cave. The incremental change since then was to adorn guards with a uniform and various gadgets so that they look transformed. But the human lapses like sleeping on the job did not go away. That has to change. IGA aims to have a similar impact on security services as what Uber is doing to meet the transportation needs of the public,” he said, referring to the upstart transport service company that uses technology to make on-demand transportation easy. This has disrupted the taxi industry all over the world. 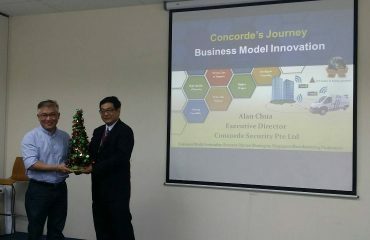 Mr Chua was speaking on Wednesday at the signing of the Memorandum of Understanding by the five founding members of IGA – Concorde Security, G4S Singapore, Guthrie FMC, Amulet and Guardforce. 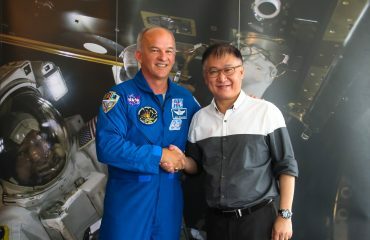 Amulet is based in UK and Guardforce is based in Hong Kong. The IGA signing ceremony was witnessed by Professor Yaacob Ibrahim, the former minister who served in various government ministries for the last 16 years. “In the coming years, the current model of mundane security jobs like monitoring and patrolling work that is susceptable to human lapses will be replaced by a new platform based on technology solutions. This will free up precious manpower to deliver enhanced security outcomes ,” said Alan. The founding members of IGA aim to mobilise like-minded organisations the world over that believe in using technology solutions to provide enhanced security outcomes, eliminate security guards and drive costs down. “Organisations need security services. Who needs security guards? Only security agencies,” quipped Alan. Concorde Security also launched a new access control system – the I-Man Access Control System (IMACS) that is PDPA compliant, fully automated (i.e. unmanned), provides for visitor analytics to the host, tenants and building managers and supports public safety announcements. This is the second I-Guarding solution from Concorde. This patented system is the world’s first visitor access control system that does not require any form of identity document or related personal data. Designed and made in Singapore, this system is offered on a pay-per-use model which means tenants with less visitors will not be penalised by subsidising those with high visitor traffic. Existing visitor management systems that do not address all the four elements offered by IMACS that are critical in visitor access control will be rendered obsolete. The launch of IMACS was presided by Professor Yaacob who did the ribbon cutting. Both events were held at the sidelines of the Security Industry Conference 2018 where Second Minister for Home Affairs Josephine Teo was the Guest of Honour. “There is an urgent need to reimagine how security services are delivered to meet increasing demand for security services, fuelled by the heightened security threat and growing number of buildings islandwide. Having more manpower alone is not the answer,” she said at the opening of the Security Industry Conference at Marina Bay Sands. Minister Teo who is well versed with Concorde Security was at the booth to lend her support to the company’s innovative security solutions.